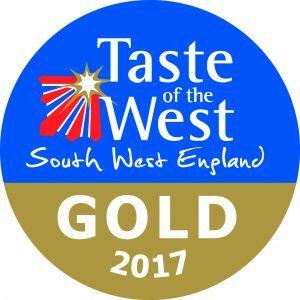 You lucky lot! 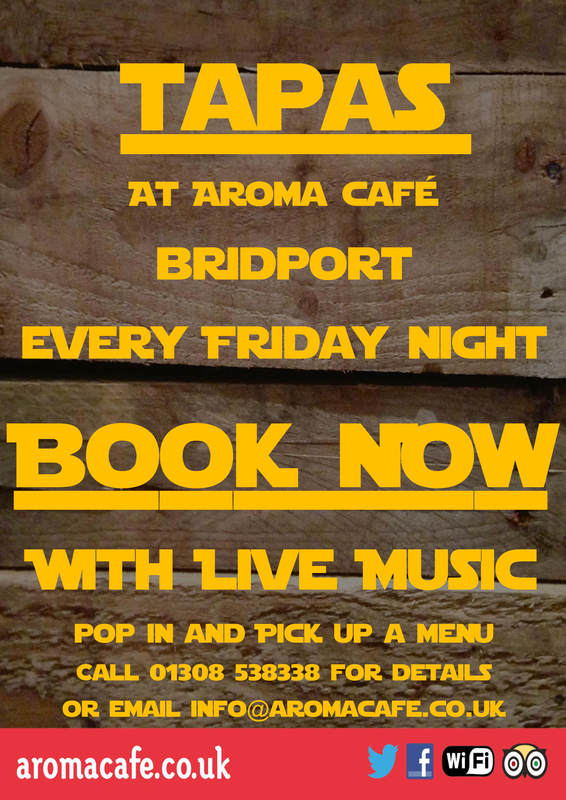 We’ve only gone and got the tapas back…. 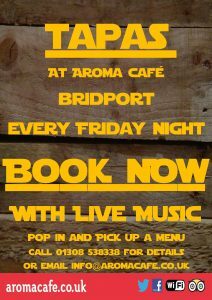 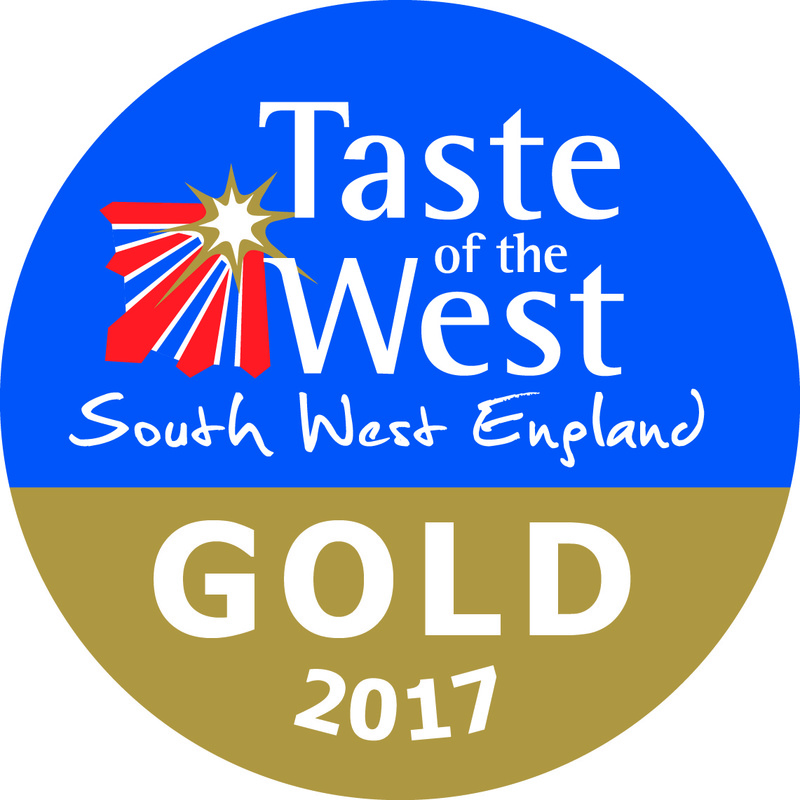 Every Friday evening for the next couple of months we have tapas and music in Aroma Bridport, drop us a line of pop into the cafe to book – but you’d better be quick!